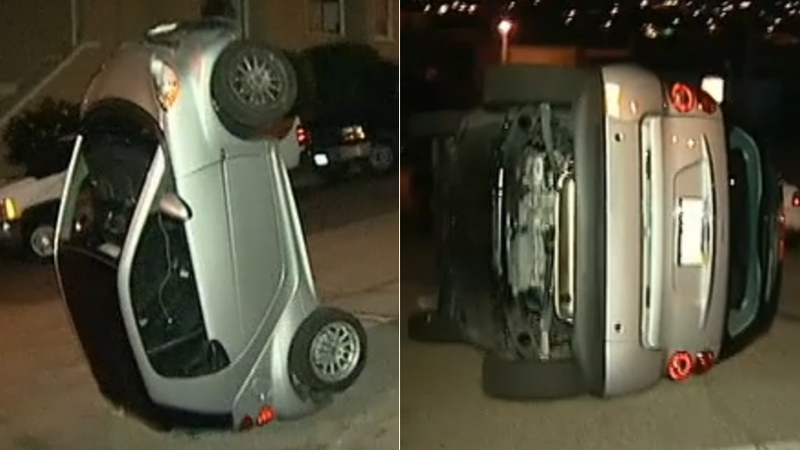 Smartcar Flipping- A New Trend? Smart cars are some of the lightest cars on the road. Weighing in at only 1,600 pounds, they are quite easy to flip over and recently people have begun to start a new trend- Smart car Flipping. 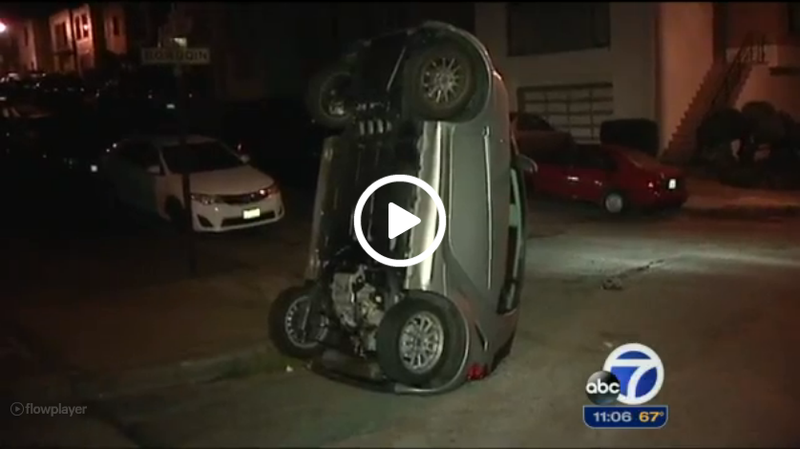 One night recently in San Francisco, eight men in black hoodies when around flipping smart cars, they managed to flip about four of the cars and while it may be funny to see these little cars flipped into funny positions, the owners are pretty pissed at who ever did it. He Keeps 17 Freezers In His Living Room, But It’s What’s Inside That Shocked Everyone!